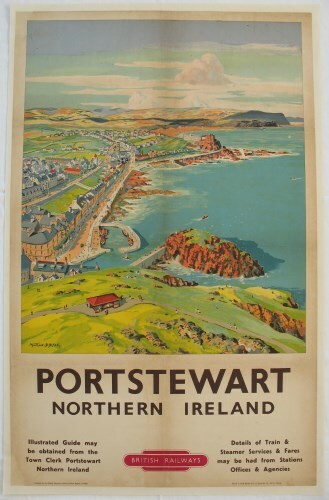 Lot 44 D/R Poster 1950s BR (LMR) "Portstewart - Northern Ireland", by Montague Birrell Black. A rare poster showing the promenade and harbour. Professionally backed on linen with restoration to tears and losses.